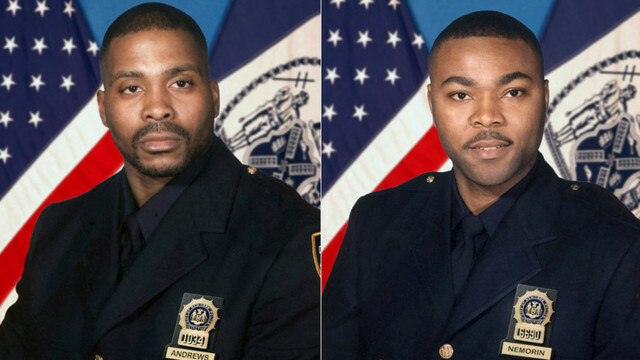 Detective Rodney Andrews and Detective James Nemorin were shot and killed while involved in an undercover buy and bust operation. One of the detectives had arranged to buy a Tech-9 submachine gun from a suspect who had sold him a .357 Magnum a few days earlier. When Detectives Nemorin and Andrews pulled up to a location in Staten Island with cash ready for their second gun buy in a week, their target telephoned them in the detectives' car to say he was unhappy that two men had arrived for the gun deal, instead of the expected one. One of the detectives, who had been part of the first gun sale managed a momentary bluff by saying he had brought along his brother-in-law to make himself feel more comfortable. The target then instructed the detectives to drive his two associates to another location where the sale would take place. The suspect never intended to sell the detectives a gun, but instead was going to rob them of the $1,200 they had brought for the deal. During the ride, the detectives signaled through a hidden audio hook-up to their back up that one of the four surveillance cars that had been following them had been spotted and to back off. At one point, the suspects had the detectives pull over at a location so they could “pick up” the Tech-9. When one of the suspects exited the detectives' vehicle, trailing surveillance cars were forced to drive passed to avoid detection. When the detectives' car began moving again, the surveillance cars lost sight of the detectives, but they could hear over the audio hook-up that the suspects were demanding to search the detectives. When the detectives questioned the suspects for the reason for the search, an argument began and the suspects ordered the detectives to pull over. One of the suspects drew a .44-caliber handgun and shot Detective Andrews, who was sitting in the passenger seat, once in the head killing him. The suspect then shot Detective Nemorin, who was driving, once in the head, also killing him. The suspects then got out of the car and began to walk away, then returned and pulled the two detectives out of the car. One suspect took Detective Nemorin's gun, and the two suspects then stole the detectives' car and headed to the apartment of the target suspect. Minutes later, officers in one of the surveillance vehicles located the detectives lying in the middle of the street at the intersection of Hannah Street and Saint Paul’s Avenue. When the suspects got out of the stolen car in front of the target suspects home, two patrol officers spotted them. The officers were able to apprehended one suspect, but the other suspect who fired the shots, escaped. He ran to the target suspect’s apartment where he left his bloody clothes and Detective Nemorin's gun. He then fled to Brooklyn, where he was apprehended two days later, along with another suspect who had helped plan the robbery/murder. Within 72 hours, a total of five suspects were apprehended. The suspect who shot Detective Nemorin and Detective Andrews was sentenced to death, but the sentence was overturned when New York state's death penalty was ruled unconstitutional. 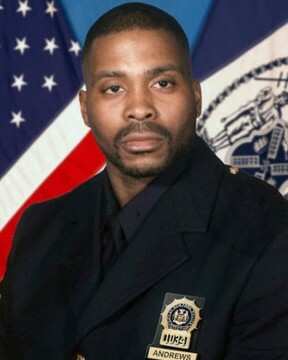 Detective Andrews had served with the New York City Police Department for seven years and was assigned to the Firearms Investigation Unit. He is survived by his two sons. To the family’s of my brothers. My brothers thought me that god is never cruel, there is a reason for all things. We must know the pain of loss; because if we never knew it, we would have no compassion for others, and we would become monsters. The terrible pain of their loss teaches us humility to our peaceful kind , has the power to soften uncaring hearts, to make a better person of a good one.